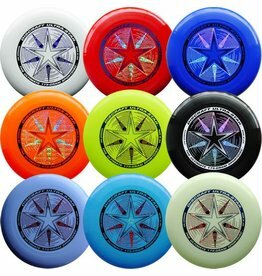 The world standard for the sport of Ultimate, and official disc of the USA Ultimate Championship Series since 1991. With its contoured grip and aerodynamic engineering, the Ultra-Star has set the standard for quality, consistency and performance. The Sky-Styler is the choice of freestylers around the world. It's perfectly weighted for brushing and guiding, and has been used by more World Champion Freestylers than any other. 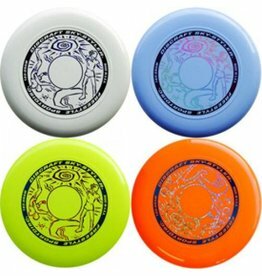 Not for pros only though it's also an excellent all-around frisbee.